On this day in 1942, President Franklin D. Roosevelt issues Presidential Proclamation No. 2537, requiring aliens from World War II-enemy countries–Italy, Germany and Japan–to register with the United States Department of Justice. Registered persons were then issued a “Certificate of Identification for Aliens of Enemy Nationality.” A follow-up to the Alien Registration Act of 1940, Proclamation No. 2537 facilitated the beginning of full-scale internment of Japanese Americans the following month. Ostensibly issued in the interest of national security, Proclamation No. 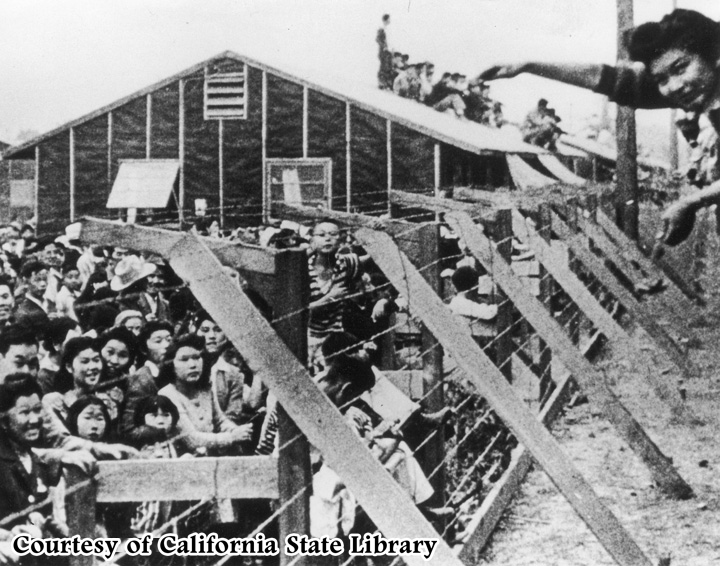 2537 permitted the “arrest, detention and internment” of enemy aliens who violated restricted areas, such as ports, water treatment plants or even areas prone to brush fires, “for the duration of the war.” A month later, a reluctant but resigned Roosevelt signed the War Department’s blanket Executive Order 9066, which authorized the physical removal of all Japanese Americans into internment camps. 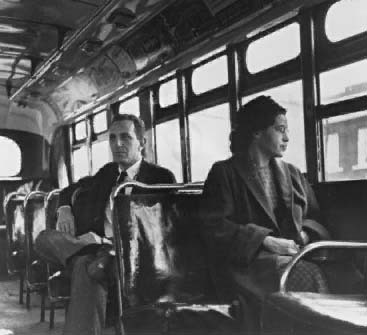 According to a Montgomery city law in 1955, African Americans were required to sit at the back of public buses and were also had to give up those seats to white riders if the front of the bus filled up. Parks was in the first row of the black section when the white driver demanded that she give up her seat to a white man. Parks’ refusal was spontaneous but was not merely brought on by her tired feet, as is the popular legend. In fact, local civil rights leaders had been planning a challenge to Montgomery’s racist bus laws for several months, and Parks had been privy to this discussion. 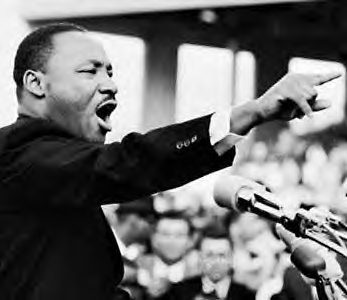 We are reading the biography ” I have a dream”, by Eric Metzgar. What has happened in the book so far? What experiences with segregation has Martin had that will shape him in the future? What have you learned about King in the book that you did not know? Do you like the book thus far? 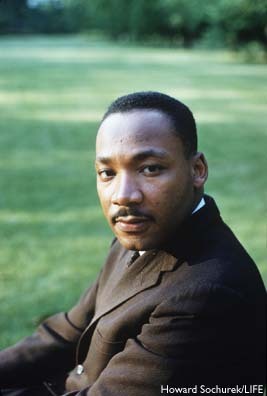 Research Dr. King’s life and write a piece about him. * What kind of a family did Martin come from? * How was the Church important to Martin and how did it help him accomplish the great things he did. * What were some of Martin Accomplishments? * What did Martin Change in The United States? * How important was Martin to ending racism in our country? * Do you think we still have problems with racism in our country? • If you answer yes to this how can we change it? 2. 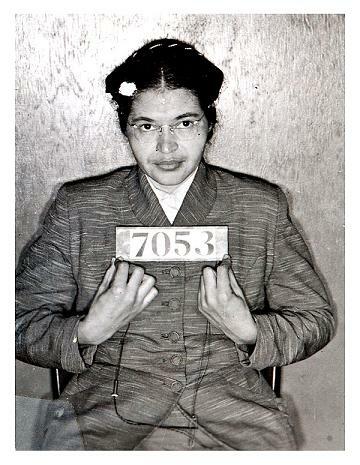 Rosa Parks and the history of the Montgomery Bus boycott. • Who were Rosa parks? • Where and when did she live? • What were the laws on buses in the segregated south? • What was the boycott? • What was life like in the segregated south? • How did the boycott change segregation? • Give details, how long did it last? • How did the African American Citizens travel? • Who was the leader of the boycott? • Why are Rosa Parks and this boycott important in our history? Write a short review of this movie. * Tell what you find important about Ruby’s story? 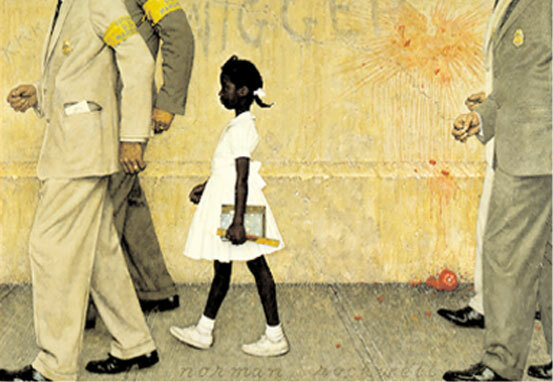 * What does it mean that schools were segregated? * At the time how did the white citizens feel about integration (African American and white students attending schools together)? • How did Ruby’s African American neighbors feel about Ruby attending a white school? * What was life like for African Americans at the time (1960) in the south? * What was special about Ruby? • What was special about her family? * What do you think got her through her trouble? • How would have you reacted if you were she? • Would you have been afraid or angry? 1. Where did MLK grow up? 2. What did his father do for a job? 3. What was life like in the Southern States in the U. S. when Martin was a boy 1929 -1935 ? 4. What does prejudice mean? 5. What does segregation mean? 6. What are people’s civil rights? 7. How did Martin feel when at age six he had to stop seeing his best friend because he was white? 9. What roll did the church play in Martin’s self-esteem? Women and The Right to Vote! The right to vote is one of our Civil rights in a democracy. The right to vote is called suffrage. Women for most of the United States History were not allowed to vote. They got the right to vote in 1920 with the 19 amendment to the Constitution . Watch the movie: and learn about how women got the right to vote. Then right four sentennces about how women got the right to vote. Name leaders of the suffrage movement and important details of the history of how women got the right to vote. On this day in 1809, Abraham Lincoln is born in Hodgenville, Kentucky. Lincoln, one of America’s most admired presidents, grew up a member of a poor family in Kentucky and Indiana. He attended school for only one year, but thereafter read on his own in a continual effort to improve his mind. As an adult, he lived in Illinois and performed a variety of jobs including stints as a postmaster, surveyor and shopkeeper, before entering politics. He served in the Illinois legislature from 1834 to 1836, and then became an attorney. In 1842, Lincoln married Mary Todd; together, the pair raised four sons. Lincoln returned to politics during the 1850s, a time when the nation’s long-standing division over slavery was flaring up, particularly in new territories being added to the Union. 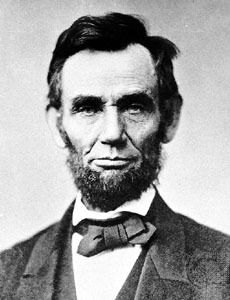 As leader of the new Republican Party, Lincoln was considered politically moderate, even on the issue of slavery. He wanted to restrict slavery to the states in which it already existed and described the practice in a letter as a “minor issue” as late as 1854. In an 1858 senatorial race,the south started to talk of leaving the union. He did not win the Senate seat but earned national recognition as a strong political force. Lincoln was an inspiring speaker who could move audiences with his speeches. As a presidential candidate in the election of 1860, Lincoln tried to reassure slaveholding interests that although he favored abolition, he had no intention of ending the practice in states where it already existed. When he won the presidency by approximately 400,000 popular votes and carried the Electoral College, he was in effect handed a ticking time bomb. His concessions to slaveholders failed to prevent South Carolina from leading other states in an exodus from the Union that began shortly after his election. By February 1, 1861, Mississippi, Florida, Alabama, Georgia, Louisiana and Texas had also seceded. Soon after, the Civil War began. As the war progressed, Lincoln moved closer to committing himself and the nation to the abolitionist movement and, in 1863, finally signed the Emancipation Proclamation. The document freed slaves in the Confederate states, but did not address the legality of slavery in Missouri, Kansas, Nebraska or Arkansas. Lincoln was the tallest president at 6’ 4.” As a young man, he impressed others with his sheer physical strength–he was a legendary wrestler in Illinois–and entertained friends and strangers alike with his dry, folksy wit, which was still in evidence years later. Exasperated by one Civil War military defeat after another, Lincoln wrote to a lethargic general “if you are not using the army I should like to borrow it for awhile.” An animal lover, Lincoln once declared, “I care not for a man’s religion whose dog and cat are not the better for it.” Fittingly, a variety of pets took up residence at the Lincoln White House, including a pet turkey named Jack and a goat called Nanko. Lincoln’s son Tad frequently hitched Nanko to a small wagon and drove around the White House grounds. Lincoln is remembered as “The Great Emancipator.” Although he waffled on the subject of slavery in the early years of his presidency, his greatest legacy was his work to preserve the Union and his signing of the Emancipation Proclamation. To Confederate sympathizers, however, Lincoln’s signing of the Emancipation Proclamation reinforced his image as a hated despot and ultimately led John Wilkes Booth to assassinate him on April 14, 1865. His favorite horse, Old Bob, pulled his funeral hearse. murdered in 1963 at the age of 37.
prison in 2001 at the age of 80. BIRMINGHAM, Ala., Jan. 28 — More times than he remembers, La’Markus Cook has traveled south on Interstate 65 from Nashville, where he attends American Baptist College, to his home outside Montgomery, Ala. But never, he said, as he did this weekend. 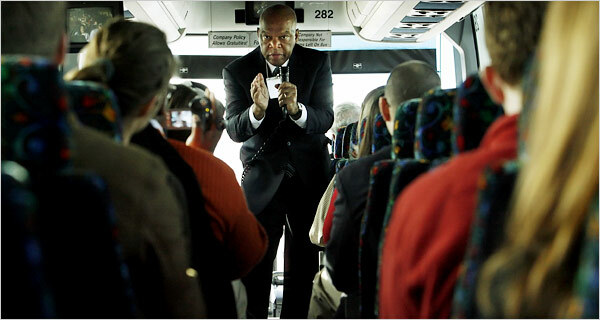 Air brakes hissing and motors rumbling, four buses retraced segments of the 1961 Freedom Rides on Saturday and Sunday, giving students aboard a front-seat view of a pivotal moment in civil rights history. On the rides 46 years ago, activists armed with only their convictions braved white mobs to defy segregation of interstate bus travel. There have been many previous expeditions to locations where riders were beaten, bloodied and jailed, but this weekend’s was probably the largest and most ambitious attempt to keep the history alive. “I don’t know that any students have ever had this opportunity before,” said Raymond Arsenault, the author of the 2006 book “Freedom Riders,” considered an authoritative history. About 100 students from Vanderbilt University, Tennessee State University, Fisk University and American Baptist College accompanied veterans of the civil rights movement, some of whom came close to death in the bloody confrontations over interstate travel in the South. The buses served as rolling classrooms, leaving Nashville early Saturday for Montgomery and arriving in Birmingham on Saturday evening. The students, along with faculty members, historians and others, returned to Nashville on Sunday. Along the route, speakers rotated among buses to describe their experiences and answer questions. Several came from the “Nashville movement” of brash activists, many affiliated with the same colleges and universities as the students. Among them were Representative John Lewis, Democrat of Georgia, who was beaten and jailed on the rides; John Seigenthaler, an aide to Attorney General Robert F. Kennedy during the crisis; James Lawson and C. T. Vivian, ministers who advised many of the students; and Diane Nash, who in the early 1960s led sit-in movements to desegregate lunch counters in Nashville and became one of the founders of the Student Nonviolent Coordinating Committee. Though the Supreme Court had ruled that Jim Crow segregation in interstate travel was unconstitutional, the Justice Department had little appetite for enforcement. In 1947, an interracial “Journey of Reconciliation” in the upper South had done little to break travel segregation, Mr. Arsenault wrote. In 1961, the Congress of Racial Equality decided to challenge travel segregation again with nonviolent civil disobedience. When one group of interracial passengers reached Anniston, Ala., a Ku Klux Klan-organized mob firebombed the bus and beat the passengers. Passengers on another bus were badly beaten when they reached Birmingham. Attorney General Kennedy intervened. The riders, some badly hurt, wanted to press on, but the trip was scuttled and the riders flew instead to New Orleans. Nashville activists pledged to continue. Mr. Seigenthaler pleaded with the students, but Ms. Nash said riders had signed their wills and were prepared to die if necessary. In Montgomery, a mob met the new wave of riders, severely beating Mr. Lewis and another rider, Jim Zwerg. In the melee, Mr. Seigenthaler was clubbed and left unconscious. The crisis mounted with riders’ imprisonment in Mississippi. Eventually, more than 400 riders would board segregated buses and trains, taxing courts throughout the South. Then, in September, the Interstate Commerce Commission prohibited all discrimination in interstate busing.